The chair of the event wanted to make it a food-themed convention brochure. Using the photographs of the foodie culture of Victoria, B.C., I weaved in the themes of food, drink and education. Using the idea of a cooking blog, I went for the soft, warm colors of the food photos and of Victoria – making it a delicious project to work with. The chair of this lawyer’s convention wanted to have a throw-back themed convention around the 80’s – so it was “Back to the Future” where neon was king, and the music was ska. Using some the same lettering and images from the movie – we set the stage for the convention with the postcard – to be followed by the brochure – also in the same theme, but using the one of the board members as a stand in for the Michael J. Fox character. The law firm was getting a new exciting webpage and needed to have their business cards and email templates reflect the new branding. Working with the firm administrator – designed a new branding look and feel that reflected the webpage so that the branding was consistent. 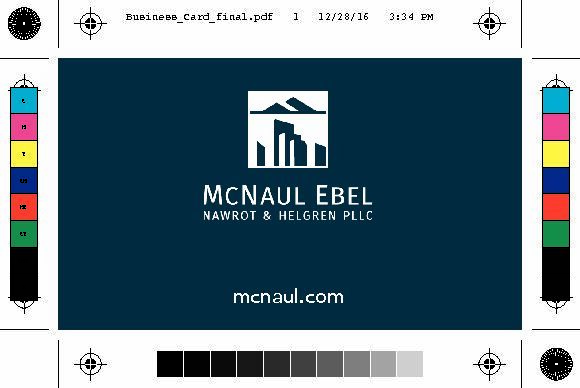 Email template also was made to work within Word so that the attorney could add text as needed. A newly formed trade association for expert witnesses, the Pacific Northwest Network for Forensic Expert Witnesses (pn2few.org) needed a webpage stat…and it needed a searchable database component, a calendar that could be quickly updated, several people were going to be blogging and to throw a monkey wrench into everything – there was almost no budget for design. The project became a website that evolves as the clientele are further defined. Client was a convention chair who wanted a save the date postcard that would remind potential attendees of the bright summer day promised when attending a program in Victoria, B.C. during July. Postcard was scheduled to arrive on people’s desks right after the holidays when the weather is dreary. Madison Engineering wanted a new look and feel to their website and incorporate some of the photography of the projects. I did a competitive analysis and worked with the client to create a more approachable language. CSS coding of particular functions and colors to the site including sepia effect when clicking on some pictures and shadow effect. The convention chair was holding her convention at the Salishan resort, on the Oregon coast. Pulling from the traditional beach theme, but keeping it clean and open – I wanted attendees to get a fun and playful feeling from the brochure. Dean Standish Perkins was celebrating their 30th anniversary and wanted to reach out to former clients and referral sources. Placed ad in the WSAJ & King County bar papers and created notecards for client outreach. Stan Perkins was a lovely client to work with and I can see why he is so successful in his plaintiff’s practice. The Knowles Group needed an advertisement to announce their availability to take on new clients. The ad needed to discuss complicated financial terms but in more understandable language and making it visually and emotionally appealing at the same time. Took inspiration from current website but updated it to fit a sleeker, more approachable look for legal newspapers.